Jenny H. Wang represents national corporations doing business in California in commercial litigation matters. Ms. Wang's clients include insurance companies engaged in multiple lines of business, including life, health, disability, general liability, property and casualty. Ms. Wang has successfully defended insurers against first-party claims for breach of contract, bad faith, negligence and fraud. She has prosecuted declaratory relief actions involving coverage disputes and rescission of insurance policies. She has represented workers’ compensation insurance carriers in coverage and premium disputes with insureds. Ms. Wang has extensive experience representing insurers and employers in ERISA-governed benefits litigation, including actions involving employee claims for long-term disability benefits under employer-sponsored benefit plans and claims of alleged abuse of discretion afforded to ERISA plan fiduciaries. Ms. Wang has successfully represented institutional clients against claims of unfair competition, misappropriation of trade secrets and breach of fiduciary duties. Ms. Wang has provided opinions in complex coverage matters. Ms. Wang has counseled corporate clients in employer-employee disputes. Ms. Wang represents her clients at the state, federal and appellate court levels. She has obtained favorable results for her clients in every phase of litigation, including at the pleading stage, by way of motions for summary judgment, early mediation, trial, post-trial and appeal. Ms. Wang is a member of Hinshaw & Culbertson's LLP diversity committee. 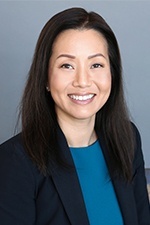 Ms. Wang joined Hinshaw & Culbertson LLP in October 2014 as a result of the merger of Hinshaw and the Los Angeles-based firm of Barger & Wolen LLP where she had practiced for 14 years. Successfully tried cases to verdict in both state and federal courts on breach of contract and tort claims, including obtaining a money judgment in favor of her client insurer following a jury trial on its insurance fraud claim and the insured’s counterclaims for breach of contract and bad faith. Obtained judgments in favor of her clients in cases involving interpretation of what constitutes "sickness" versus "accidental bodily injury" within the meaning of insurance policies that provide different levels of benefits for claims due to either sickness or injury. Successfully moved to eliminate claims against her clients for breach of the implied covenant of good faith and fair dealing and punitive damages. Obtained favorable rulings for her clients in cases involving the interpretation of "appropriate care" as set forth in disability policies that condition benefits on the receipt of appropriate care. Prevailed on ERISA bench trials defeating disputed claims for long-term disability benefits. Successfully pursued ERISA-preemption of state law claims asserted against insurers, resulting in the elimination of claims for extra-contractual damages. Blocked attempts by claimants to litigate ERISA-governed claims without having exhausted their administrative remedies. Obtained orders precluding attempts by ERISA claimants to conduct discovery outside of the administrative record. Curran v. United of Omaha Life Ins. Co., 2017 U.S. App. LEXIS 18443 (9th Cir. 2017). Prevailed in the U.S. Court of Appeals for the Ninth Circuit on the applicability of a self-reported symptoms limitation in an ERISA-governed long-term disability plan. Ms. Wang's publications include being co-author of "ERISA Long Term Disability Claim Barred by Failure to Exhaust Administrative Remedies," published in DRI's The Voice, May 22, 2014.